Make your own enchanted, colour changing gin! Ever wondered how those mysterious colour changing gins work? Wonder no more! We’ve got an easy recipe so you can take your g&t to the next level, and cast your spell over any cocktail hour! 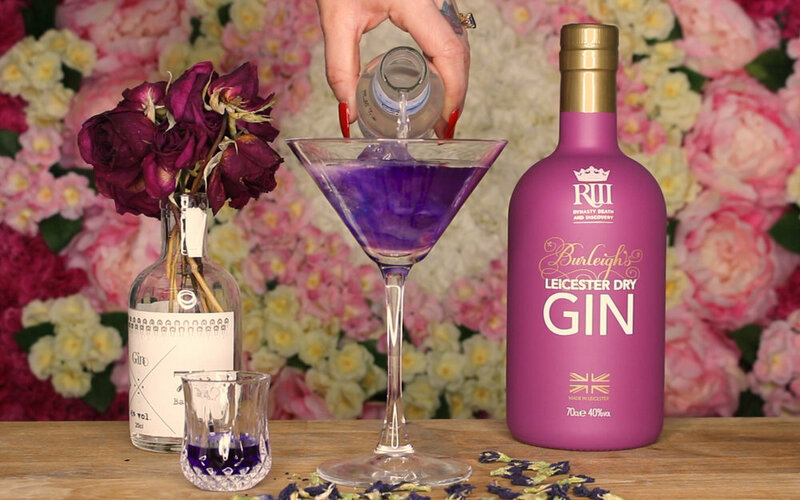 The secret to this enchanted gin lies in the piercingly blue butterfly pea flower (easily obtained from major online retailers and supermarkets). These delicate little flowers are sensitive to changes in pH, so when an acidic ingredient – such as tonic or citrus-y mixer – is added, your gin magically morphs into a vibrant purple! You can bump up the wow factor by mixing in edible shimmer, or dying your ice cubes to create a longer colour change. And don’t limit your eerie adventures to your G&T – you can cast your spell on any cocktail by mixing in your blue gin and adding in the acidic component last! 1. Clean and dry the container you’re going to use – any residue can affect the colour of your gin. 2. Pour the gin into the jar and add 10 butterfly pea flowers for each 250ml of gin. 3. Screw on the lid, shake well, and leave to steep overnight. 4. Once your gin has reached a dark blue colour, strain out the flowers and decant the gin into a bottle. 5. If the colour is more purple than blue, you can use half a pinch of baking soda to raise the pH and bring out the blue. To show off your colour changing gin, add it to a glass with ice, fill the glass with tonic and watch it transform from blue to purple! We made toffee gin and here’s what happened..
Add a green glow to your G&T with Pixie Tears Gin Liqueur! This Black Cat cocktail is purrfection! Drink gin on this festive gin train!